May is here! New York City has done a 180 in the past few weeks and is really making us fall in love all over again. Full disclosure, I haven’t enjoyed it like I should since I’ve mostly been indoors tending to a newborn. But when I do get out, the city startles me with its springtime charm. Another confession: our budget tracking got away from us the last, oh, 11 days or so of April. Can’t imagine why! My daily to-do list currently consists of feeding and clothing my children. And some days even that is iffy — like when Sally ran around the house naked for far too long after her bath last night. So our budget tracking got neglected, although we’ve been too preoccupied to spend money since Wynn arrived. But we plan to update it and our net worth this weekend. *Living in NYC, our rent is a bit of an anomaly (major understatement) compared to our peers in the rest of the US of A. 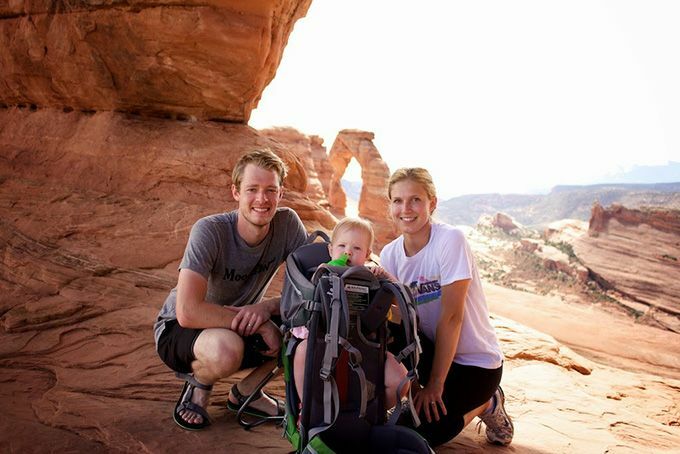 To give you an idea, it’s more than twice what we were paying in Utah. Yeahhh. But that just means the rest of our budget is that much more essential this year. 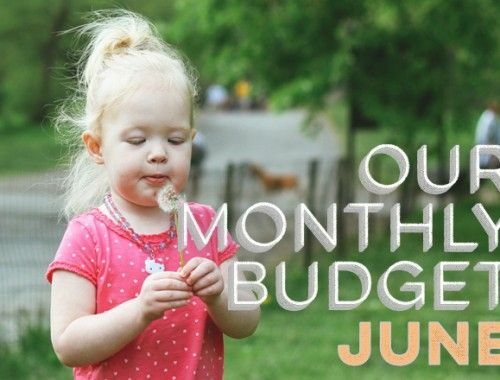 We don’t have any changes to our budget this month, but we will have some upcoming details on our hospital bill and our supplemental insurance payout (through Aflac). We also recently received Sally’s hospital bill, which cost just as much as Wynn’s birth, so soon we’ll share how these expected and unexpected expenses will affect our budget/savings for the rest of 2015. One quick glance at our Personal & Clothing category, and it’s clear Johnny and I have been too busy to spend money on ourselves this year! I think we should remedy that this month, that is, as soon as I’m back to wearing non-maternity clothing :). 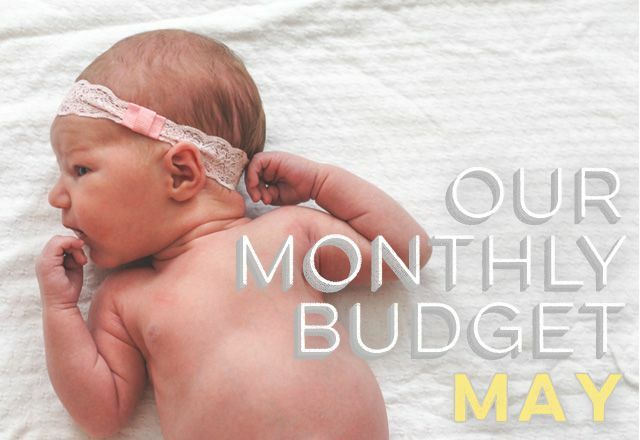 It’s the first of May, which means no one is behind on tracking their May budget! 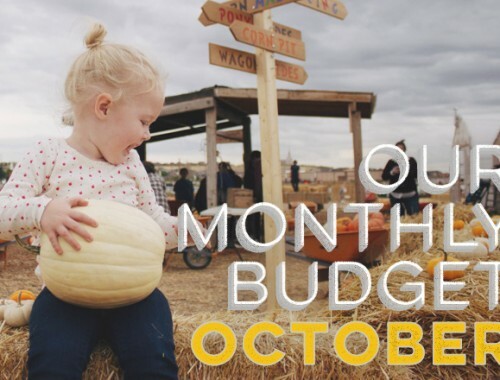 We’re all starting new today, so what do you say we all keep track of our budgets this month? I will if you will… What budgeting category is giving you the most trouble in 2015? For me, house buying expenses have been breaking the bank in April. May too will be tough. Oh well. I have a question about your rollover budgets – do you have a separate account for things like savings & vacations? I want to start doing something similar for our clothing budget but haven’t figured out the best way yet. Our bank requires at least a $300 minimum in your savings account, which means $300 would just have to sit there all the time without getting used. So I thought about just opening a separate checking for clothes/shoes and keeping up with it that way. We are moving this month so the May budget stressing me out a little! But we’ll make it, right!? We use an online bank in addition to our local bank. It used to be called ING but now it’s Capital One 360. You can open an unlimited number of savings accounts, so we have vacations, car, property tax, life insurance, etc. all in separate accounts that we set up automatic contributions to. Thanks for the tips! We have never tried an online bank, but I think we will check it out! We don’t have a separate bank account for those budgets, we just rely on our expense tracking through our budgeting app. But like Danny mentioned, online banks are usually pretty cool with creating unlimited accounts with little to no minimum amount requirements. We use Ally and we’ve got four or five checking and savings accounts in our joint account. We’ve used them for regular spending, our emergency fund, our savings fund, and our side income account where we withdraw quarterly taxes from. Our budget got completely busted this year after I got sick. A lot of our “extra” money that was destined for savings went to books/supplements/medical bills as I was trying to understand and treat the condition I have been diagnosed with. I also had to change my diet, so that meant our grocery bills went up. Then we had to pay $800 out of pocket for the first month of my new medication. We didn’t have enough money in our HSA as that had all gone to paying for tests and physical therapy. Luckily, our deductible has kicked in, and there should be less medical procedures and appointments in the future, so the meds will be a lot cheaper for the rest of the year. Hopefully, as we continue to fund our HSA, we will have a bit more money in there for next year when we have to start over and pay the full price again. I will also confess to some pity spending. I was feeling very sorry for myself, so I would shop to make myself feel better. It sort of worked. I didn’t buy anything too ridiculous and there is no such thing as too many cardigans, right? Plus, I have lost a lot of weight, so I’ve had to restock my summer wardrobe with shorts that won’t fall off me. Now for the good news. From here on out, our budget should be more balanced. Our youngest child got into free pre-K through the school district lottery. That means we only have three weeks of daycare left! Like my kids, I have the summer off, so we will have 10 weeks of zero childcare expenses. That money is going straight to savings instead. When school starts back up, our son will start middle school, so our youngest will take his spot in the aftercare program, which means no additional expenses with the change in schooling. Finally, I will get a pay raise in August. Not only do I get a raise after completing my first year with the district, but all teachers and staff are getting an across the board raise. Things are looking up. Now I just need to get my health back on track, and we will be good. ps I sold our Bugaboo Bee on Craigslist last night and got $300 for it. Now I want to sell All The Things. Thanks for sharing, Zoe. While your medical budget might have missed the mark, hopefully you’re feeling a little better with your prescriptions and treatments. And it sounds like you’ve figured out how to keep the expenses in check the rest of the year and hitting your deductible certainly can’t hurt. We hit ours last week, too. 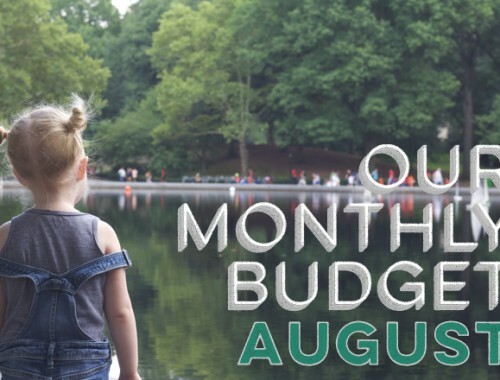 Great news on the pre-K and daycare savings for the next few months. That’s great! And congrats on the future raises! Lots of good news to counter some of the setbacks. I love the transparency of posting monthly budgets. You guys are brave. Are you rounding out numbers or do you use a cash system to stay right where you want? I always say we have a budget but it feels more like tracking spending and not necessarily controlling spending. If we go over I tend to say, well we just needed to and we’ll try again next month. Congratulations on your new little addition to the OFB family! Really admire your transparency, helps us folks to get a better sense of budgeting and stuff. I’ve only started budgeting about a couple of months back, and rollover budgets are really tricky for me to keep track off. If my rollover supposedly hits a self-defined cap, my budgeting allocations/ratios would then get a little-bit messed up as the next month I’ll allocate lesser to, say Vacations, and more to my retirement fund. This warps my saving ratios a little, and (being a little OCD), I just can’t get to grips on how I should address this! Thank you. Thank you. Thank you for posting this. I always want to ask people what they budget for… and how much, but most people DON’T budget at all! I see you spend 175 for going out to eat. My hubby and I allot about 200 for out-to-eat money and try to have extra at the end of the month for rolling over. This doesn’t always happen though! I’m going to check my bank and see about unlimited savings accounts! I super duper hope they offer that! It would solve a lot … we try cash/envelopes but when it’s there, we end up spending it so we don’t have a ‘roll over’ at all. We use Ally and they’re cool with a bunch of accounts. Not sure if it’s unlimited, but we’ve got four or five checking/savings right now with them. My suggestions for folks trying to efficiently organize your budget, have rollover work easily, etc., I have to recommend YNAB (You Need a Budget). I’m not affiliated or everything but I LOVE it and cannot sing loud enough praises! I used to have several separate online checking/savings accounts to manage my different savings/spending buckets but now I can do that easily in YNAB. There is a fee to purchase (I think $60) but it’s well worth it and the software updates are free. I’m in much better control of my money now and with less hassle/work. I actually have fun moving money around the categories and scheming up how to save more. For us the medical category of the budget has been very frustrating. Daughter had surgery end of 12/2014 = Dr. appts / PT appts / surgery bills come in Jan.
Shady mammogram 4/2015 so further work up and all the bills associated with that. work toward goals again! New job for hubby would be great too. You’ve certainly had a tough break the last few months, M. Sending lots of positive health, savings, and employment vibes your way! Haha I think my budget looks a little iffy this month. I made a “Miscellaneous” budget for basically Mother’s Day, a trip to VA, etc…and did a “little” shopping this weekend..and am now overbudget in that category for the month. It’s the first time I threw a bunch of things in Misc category and I think I thought I could just go wild…balanced everything today and it appears I can’t just go wild, haha. Time will tell how my May budget goes. Hi, I’m new here, love it!!! Our way of budgeting is entirely too complicated – and I love your system. Where do yearly expenses like prime and Costco come in to your monthly budget? I’ve been doing the “sinking fund” way, but I think it over complicates things. Are these things under your miscellaneous category that you factor in at the beginning of the month it’s due? Do you have any other yearly expenses that aren’t in your monthly budget, and how do you save/account for those? Thanks so much, I love what you do!